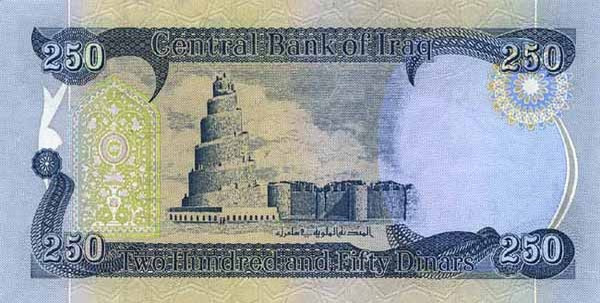 The new Iraqi Dinar was issued for circulation in late 2003. 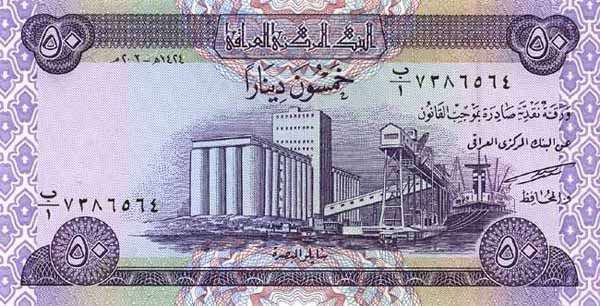 There are currently seven denominations in circulation: 250, 500, 1,000, 5,000, 10,000, 25,000, 50,000. 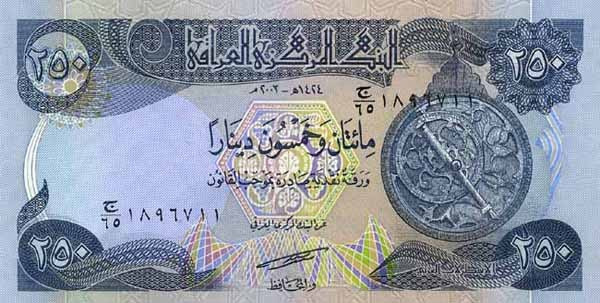 The 50 note was removed from circulation in April of 2015. 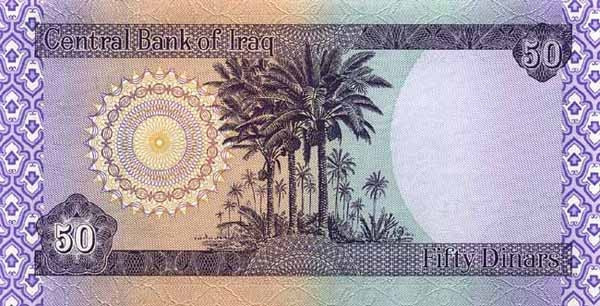 Iraq does not currently have any coins in circulation. Below, you can find pictures of each note and a link to a description of the images found on the notes.